The life of Chinese writer Xiao Hong 萧红, from her childhood in the Heilongjiang Province to her final days in Hong Kong’s Repulse Bay. 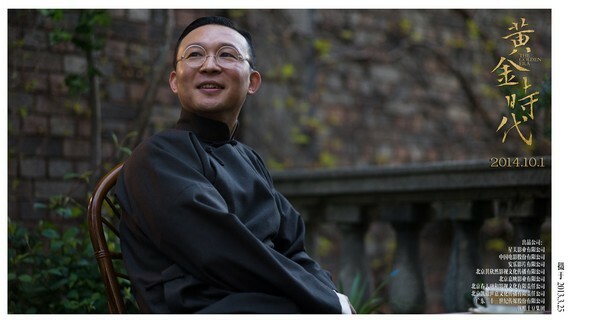 The love of the author’s life, newspaper editor Xiao Jun 萧军 and the inspiration she drew from him as well as the surrounding literary scene in creating some of China’s most enduring masterpieces is explored against the backdrop of a turbulent time that included the formation of the Chinese Communist government and World War II. 3 hours. This is enough to deter many people from watching the film. Maybe it will be different if it is a three hour Marvel hero movie, but it didn’t feel like 3 hours to me at all. 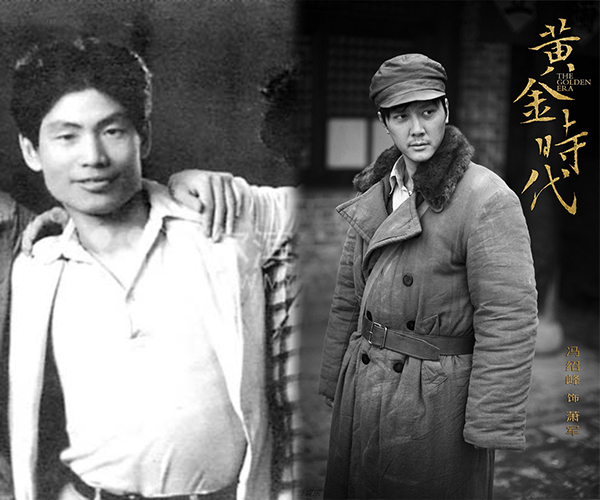 The Golden Era talks about the life story of a Chinese female writer 萧红 from the June 2, 1911 – January 22, 1942 in the format which resembles that of a stage drama, a documentary and an interview. Some may find it boring and monotonous, but it was just like how a normal person’s life is. Their life was not exaggerated or romanticised or dramatized. I found it enlightening. This is life. It’s not a movie, it’s not a fairy tale where the male and female lead will get back together and live happily ever after. It’s life. A life with regrets and questions. The Golden Era was not biased towards any characters. Ok, perhaps it was biased by choosing a good looking actor Feng Shaofeng as Xiao Jun (the real person was not tall and muscular), and audience tend to pity him during the breakup. It made the audience decide what to believe and made me think. I overheard one of the audience said how there was almost no climax throughout the film. But being able to be in the audience’s mind, to be able to make the audience think about the film, is a form of success, a form of “climax” to me. Award-winning (female) director Ann Hui had left the whole film true to the life story. Unanswered parts were filled up by with her friends’ answers. Different sides of the story (like the real reason behind the break up between Xiao Jun 萧军 and Xiao Hong) were also shown. 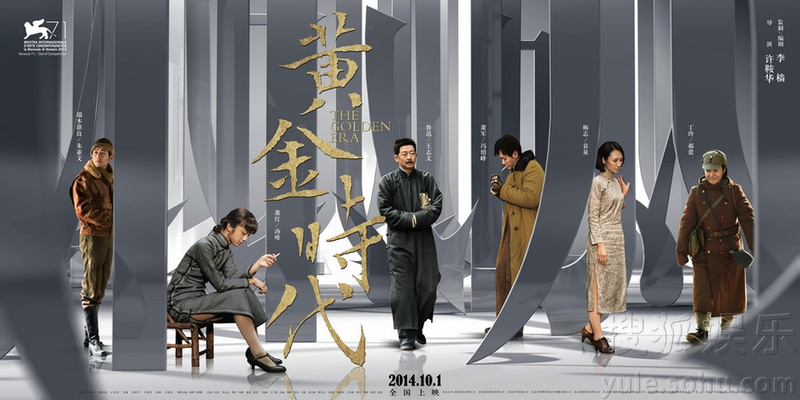 After watching “The Golden Era”, it took me a few days to get over the many unanswered questions that were in my mind. Why was Xiao Hong so calm and unperturbed during her pregnancies and during war time? Why did Duanmu marry her knowing that she was pregnant with Xiao Jun’s child? Why did he disappear on her on her final days? Xiao Jun, Xiao Hong’s husband remarried after they broke up and had a total of 8 children. Did he still love Xiao Hong? Did he ever regret? What really happened during the break up? Questions that made me search through the web for days, reading the commentaries and forums from various online sources before I could rest my mind. If you are wondering why you should even watch this, when you don’t even know who this author is (after all, she’s not exactly JK Rowling or Suzanne Collins), this is a film you should watch because it’s about living life the way you want it and not the way others want you to live. I love the way the actors depict the different characters. They were not acting the characters but being them. I remembered a scene when a character burst into tears talking about Xiao Hong. The audience laughed. I didn’t understand why so. Is it funny when you burst into tears when talking about a deceased friend? I had to admit that this will be what most people think. I did not have a really deep interest in the above mentioned, and although I love the Chinese history, I was more interested in the ancient and imperial China rather the modern history. This beautifully filmed biopic might not be a box office success, but it is what most actors would love to do. No exaggerating fighting scenes, no special effects, just a simple and realistic film that is true to the person. It’s so real that many are unable to accept the fact that this is the life without the aura. Male lead Feng Shao Feng acted this role without taking a single cent (as well as 10 other supporting actors) and the payment for all the casts totalled up to only RMB 3.7 million (approx. SGD$770K), a considerable low amount for a three hour movie, given the statuses of the various award-winning actors and A-list stars. P.S. 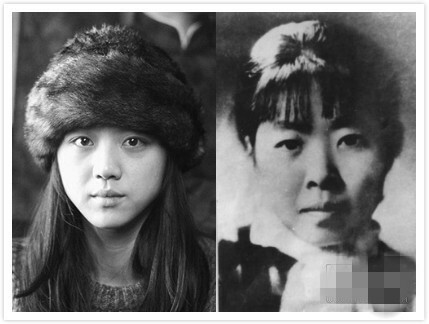 The going rate for Tang Wei for example, is 30 million yuan a film. 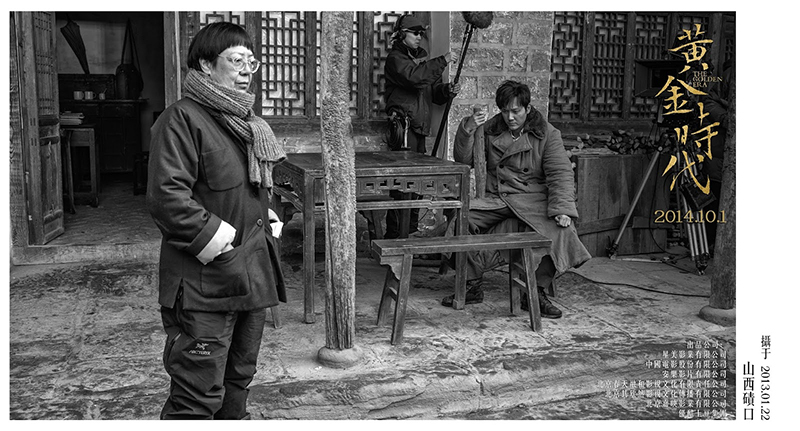 The “interview” style of the movie was suggested by scriptwriter Li Qiang (李檣) and it was quickly accepted by the director as it is a very creative and unique style of showing the various perspective of the legendary author. The actors were very excited when they heard about this filming technique. Official submission of Hong Kong to the best foreign language film category of the 87th Academy Awards 2015. 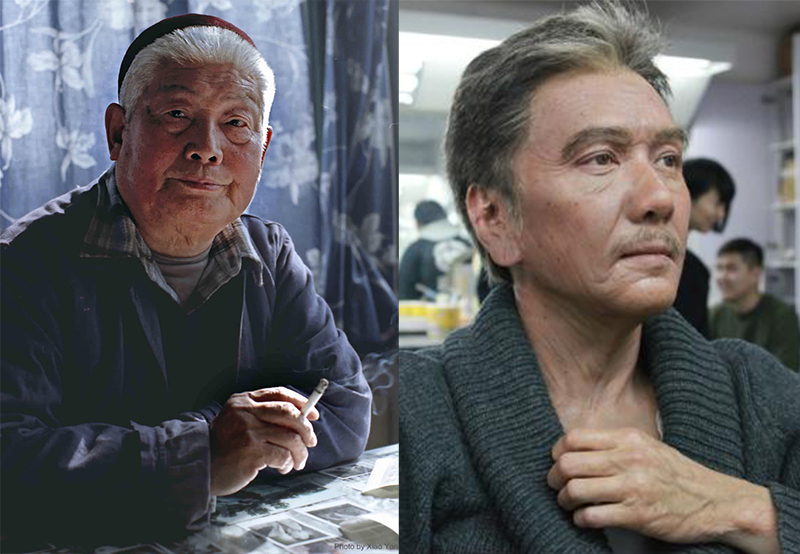 Li Qiang was also the scriptwriter for Vicki Zhao’s award-winning “So Young” (致我們終將逝去的青春) movie. Male lead Feng Shaofeng don’t know how to drink in real life and for this drunk scene (which was cut off in the film), the team mixed various types of alcohol such as red wine, white wine and vodka (Tang Wei brought Vodka) for him to drink. He was really drunk and nearly knocked out when the filming took place. 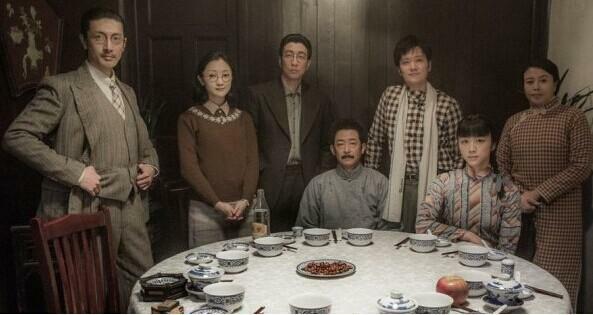 The Golden Era 黄金时代 is out in cinemas on 16 October 2014. Thank you for some other informative web site. The place else could I am getting that kind of information written in such an ideal way? I’ve a venture that I am simply now running on, and I’ve been at the glance out for such info. I have not been knowing this movie. Not sure is it on in Malaysia. Hmmm.. I gotta check out in the nearby cinema. To tell a story of a female figure in the period of revolution is not common. It is also not easy to stand out among many other masculine stories of that period. Although this story tells how to appreciate life in contrast to living in the chaotic environment through this female writer, the deep profound meaning is rarely understood in mere 3 hours worth of film. It would be a waste to film it as a documentary but a documentary style of storytelling for a movie? I don’t know if it will work but I do think this would work very well as an art film. It is interesting to look forward to how this film will fare, if it would resonants, despite its strong cast and production team. The Golden Era seems like a really nice film. I hope I get to see it one of these days. Oh this sounds interesting. I love movies centered on the lives of people. I enjoy watching the events unfold. I love historical pieces. I think I would really enjoy this movie! Hmm.. Watched the trailer/snippet and I do feel like catching the movie !Not sure I’ve seen the title in Malaysian cinemas tho ..
We have movie festivals here in the Philippines. I hope this movie will be featured so we can watch it for FREE. 🙂 Does it have an english subtitle? hmm, not my kind of movie at all. i hardly even watch chinese movies to begin with, unless it’s action/crime related. and i’m really surprised the male lead actually acted in this movie for free! I love watching this kind of movie. I hope this will be available here in our country too. Also, Chinese heritage is so rich that a period film would really be a rich source of materials. I think once you get the hang of it, 3 hours would really be something worth your while watching the movie. It’s a long on though the actors look convincing and the story looks interesting. woaah…writing movie reviews must take a lot of time! This looks like it would be a very entertaining movie to watch. I think it has the right amount of drama and old world feel to even be turned into a broadway show.. I think I would want to watch this movie! But I think it’s not available in my country 🙁 Hmmmm… I like movies that are based on real life, which do not stray to the reality of the story… that real life is mostly not romanticised. Three hours seems like eternity for everybody. But as you said, it’s not an exaggeration and this is exactly how people live their lives. I’m sure this is a good one. If time permits me, I’ll go and enjoy this movie. Nice review. 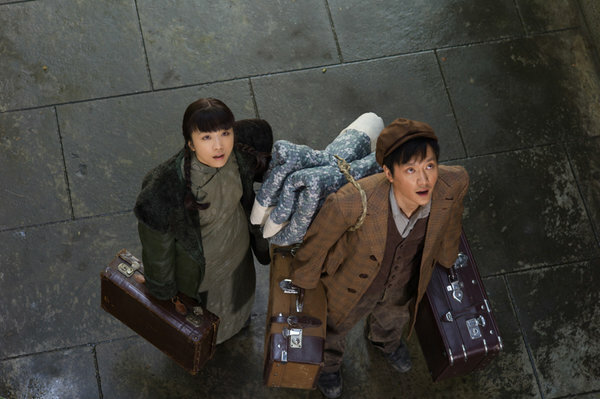 I always have a thing for the China literature and history, and this made me want to watch the movie even more. There are too many so-called “blockbusters” movies that have advance CGI but most of them do not have a story that touches the audience I would like to see more of this kind of movie being produced. I agree with you. Some people might now watch this or if they do, they might find 3 hours to be too long for a movie but if it’s some Marvel movie, 3 hours is often too short. I guess most people now no longer appreciate movies with a real story…. movies that are based from real life events and movies that we could all learn from. Tried to watch the trailer and it did look interesting. It looks like a compelling movie to watch… I hate it when immature movie-goers laugh at those non-funny parts! If they can’t understand or appreciate they should just leave..
i have never tried watching movies like this. I am hoping that it will be translated to English for better understaning.